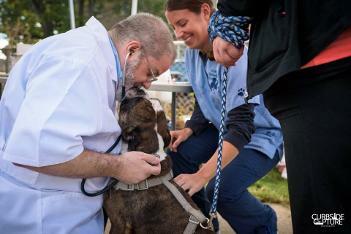 End Dogfighting in Milwaukee is about SO much more than pit bulls and dogfighting! It's about breaking cycles of abuse and neglect by reaching under-served neighborhoods with education, resources and support. 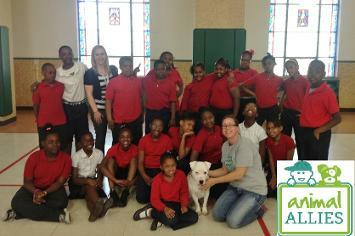 It's about teaching communities to value animals in general and pit bulls as pets. It's about about pet owners and youth giving, earning and receiving respect, friendship and love from each other and their pets. Outreach booths are opportunities to teach communities to value animals in general, and pit bulls as pets. It's also about building trust and offering other wonderful resources. 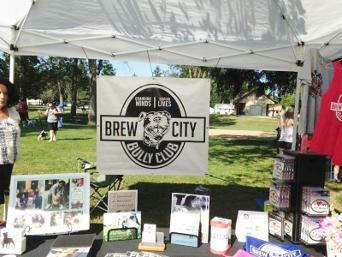 Brew City Bully Club supports pet owners in high risk areas of Milwaukee by offering low cost or FREE ** Collars ** Leashes ** Treats ** Vaccinations ** Microchips ** Spay/neuter services ** Care/Training Advice. Our up-coming Pet Health Clinics will be advertised, and all resources are first come, first served. These humane education visits are about youth learning to give, earn and receive respect, friendship and love from each other and their pets.